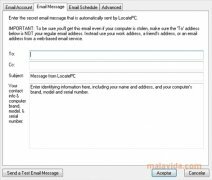 LocatePC is a beacon application that will allow the user to search for his/her laptop if it happens to be stolen or he/she loses it. The only thing that the application requires to start working is for the computer to be turned on. The user will be able to find out its approximate location, download its contents and even take a photo of the person that is using it with the webcam. 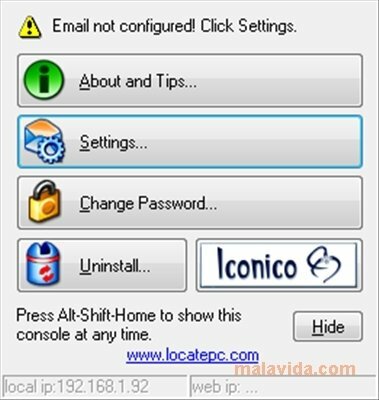 LocatePC starts to act immediately after the computer has been turned on. 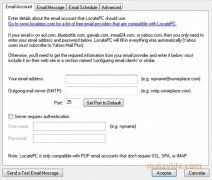 After configuring the application, it will be the application that will send an email to the user each time something strange happens, using the configuration that has been set previously. 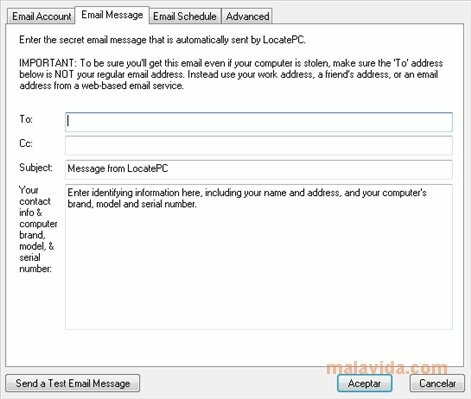 This email will contain data of great importance to unmask the thief, like the Public IP, MAC and the direction table. And all this without the person that is using the program noticing. 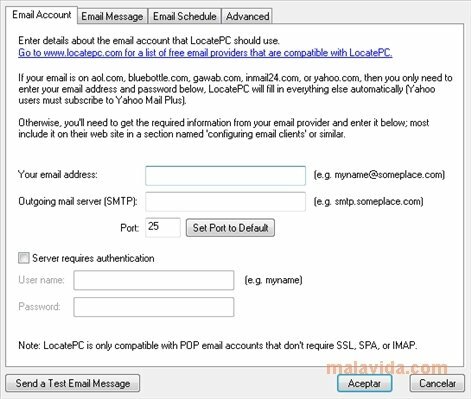 Make sure you have installed LocatePC before you leave your house and avoid losing your computer! Some antiviruses will detect the application as a threat.